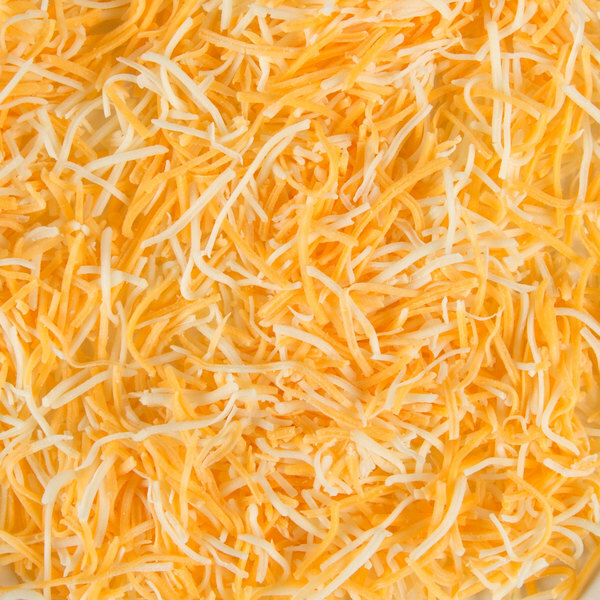 Fulfill your customers' cheese cravings with this fancy shred cheddar and monterey jack cheese blend. 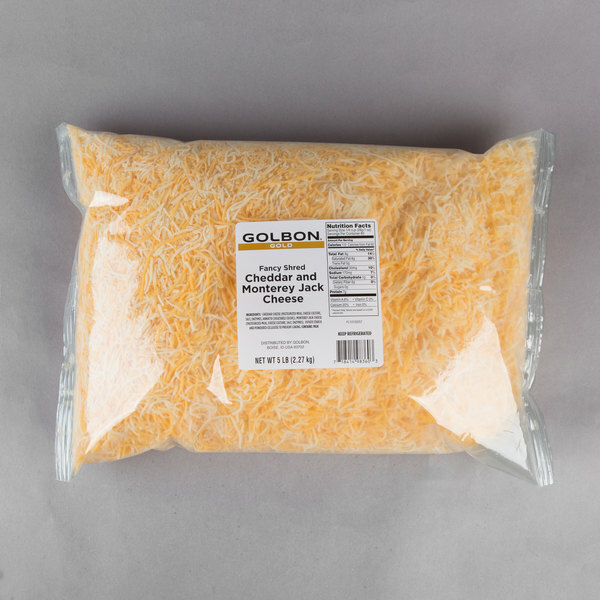 Pre-shredded for convenience, this popular, buttery blend of cheddar and monterey jack cheese can be used to add a creamy, savory taste to a variety of dishes! It's perfect for your gourmet macaroni and cheese or signature cheese-infused hamburgers, as well as using to garnish your soups and salads. Melt and drizzle this cheese over your warm pretzels or use with your loaded nachos to create deliciously cheesy appetizers. You can even use it for filling your buffet salad bar. No matter what it's used for, customers won't be able to get enough of this cheese's buttery rich, milky flavor! Cheddar and monterey jack cheese are two of the most widely consumed cheeses in the world, making this blend an essential in your kitchen. This blend offers a fancy shred cut, allowing it to easily blend with other ingredients and melt exceptionally well, as well as provide a great visual presentation on top of your entrees. Stock up on this 5 lb. 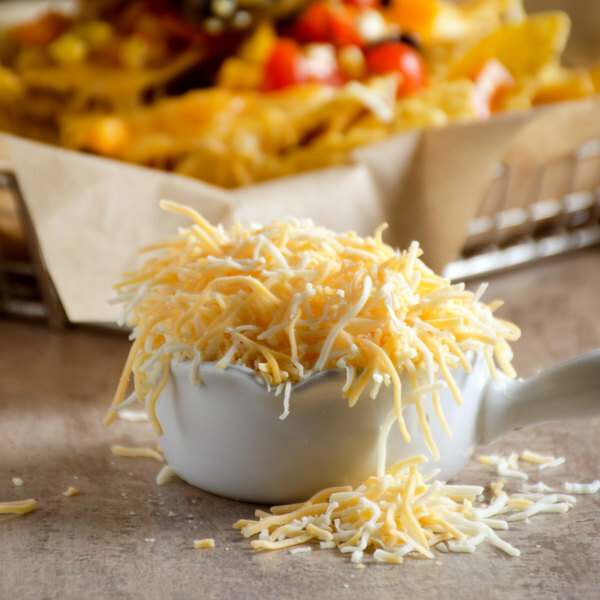 supply in your restaurant, bar, or diner to ensure you always have shredded cheese during your busiest hours.